Our linkages add travel and also change the leverage ratio curves so that it gives you the best ride with no kicking and good bottoming resistance. All DeRisi Racing Inc. linkages come with bearings, seals, and hardened pins. We currently have linkages for TRX450Rs, LT450Rs, and Yamaha YFZ450s, and we’re designing and testing new linkages all the time. 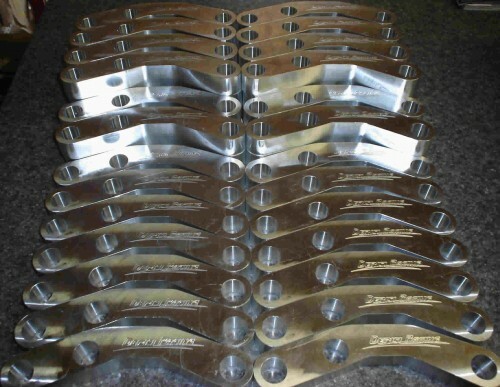 If you don’t see the linkage that you are looking for give us a call and ask! Built with quality and performance in mind, our linkages have stood up to everything our testers could throw at them.